Even the "A-est" of A-listers are prone to posting the occasional no makeup selfie on their personal Instagram. Oftentimes, it's from bed or even in the bathroom before getting ready. Beyoncé's latest no makeup Instagram selfie spotlighted one specific feature that we don't see very often, and it was also taken from a different vantage point. Usually, the fresh-scrubbed selfie is face-forward, utilizing the front camera of a phone. However, in Bey's case, she posed from the side, showing off her perfect profile, with what appears to be fresh flowers fastened in her hair. Of course even Bey's bare-faced selfies are works of art. But what little-seen feature did Beyoncé just highlight? Freckles! The singer has a smattering of pretty speckles on the side of her face, near her temple. It's such a natural and beautiful shot of the Queen Bey. Since she often wears her hair long and down, with her locks framing her face, we don't always get such a look at up close 'n' personal details such as this. This image is stunning. It doesn't feel like it was a matter of chance, taken without any advance thought. But it certainly doesn't feel forced, either. Beyoncé also posed for other images with blooms in hair, which she posted on her Insta. Witness a makeup-free Beyoncé moment. As always, she looks gorgeous. We get to see her profile, from the side and with a sprinkle of freckles. 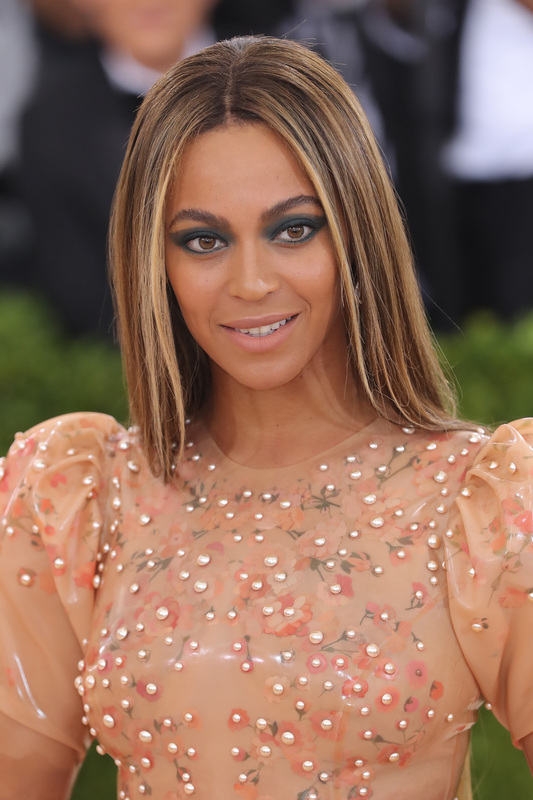 Beyoncé has shown off her freckles before, as other big names have done. Remember when Emma Watson displayed her freckles on a mag cover? So this makes another case of a celeb baring all for fans and embracing freckles. Here's another no makeup Bey selfie from back in the day. Actually, it's from last summer and that high braid pony is something else. This pic should be a total source of inspo for you to go sans makeup and product today. Try it! Oh, and if you have freckles and want even more inspo to show them off and let them breathe and be seen, then check out Alicia Keys. The stunning singer flaunted hers on the cover of Fault! So, so lovely.